In the cult classic TV show “The Office,” Michael Scott’s idea of a vibrant and unique workplace culture includes nontraditional exercise regimens, crazy awards, and office pets. Luckily, there are much more practical (and HR-friendly) ways to communicate the set of attitudes, values, goals, and practices the people in your organization share. 2) You attract the talent that will thrive in your organization’s ecosystem, helping cut costs related to turnover while building a stronger team. Knowing who you’re talking to and understanding what motivates them is key, and building assessments of the type of employees who will move your organization forward will help you hone your message. Avoid gender stereotypes and other discriminatory labels, and stick with the personality attributes and characteristics of the types of people who fit the skills and abilities you require. Are your ideal employees hardworking and humble, or exuberant and social? Is your workforce a blend of mostly college recruits and entry-level professionals, or a blend of experience levels? Where do they seek information? What do they want in life? What marketing channels are they most receptive to? Once you have clearly identified your candidates, targeting them becomes a much more efficient process. You may have heard the phrase “on brand.” This means that the message/content is in line with the persona of the organization. Understanding tone when marketing your culture means you need to understand your employer brand. Is your company a work-hard/play-hard environment where everyone comes together to celebrate successes? Or does your company thrive on social responsibility and bond over charity work? Understanding how your culture presents will help you capture and highlight the right moments and sentiments for your marketing efforts. Many companies have company-wide communication platforms like instant messaging, newsletters, and websites. These platforms can all be used to communicate culture internally. It’s best done by organizing events, recognizing achievements, and sharing moments. This could be done by organizing an informal event, like having lunch at the park; by recognizing the efforts of someone who accomplished a significant goal; or by sharing special moments, like the birth of someone’s child. The main idea is to strengthen the sense of community within your organization by sharing examples of it in action. Be sure to remember that in all instances of internal marketing, the tone must reflect the audience and the situation. External marketing takes more know-how as companies need to step away from their employer brand to be able to distinguish what is and isn’t attractive. Seeking input from a third party can be a beneficial step in achieving objectivity. Luckily, we live in a very connected society, and there are several platforms for marketing culture externally. Many companies have taken to social media to tweet and livestream tidbits that highlight their cultures. Others have taken a more polished approach and produced high-end content for mass consumption. Employer branding videos are popular as they can easily be shared on social media and web pages, and in recruitment emails. 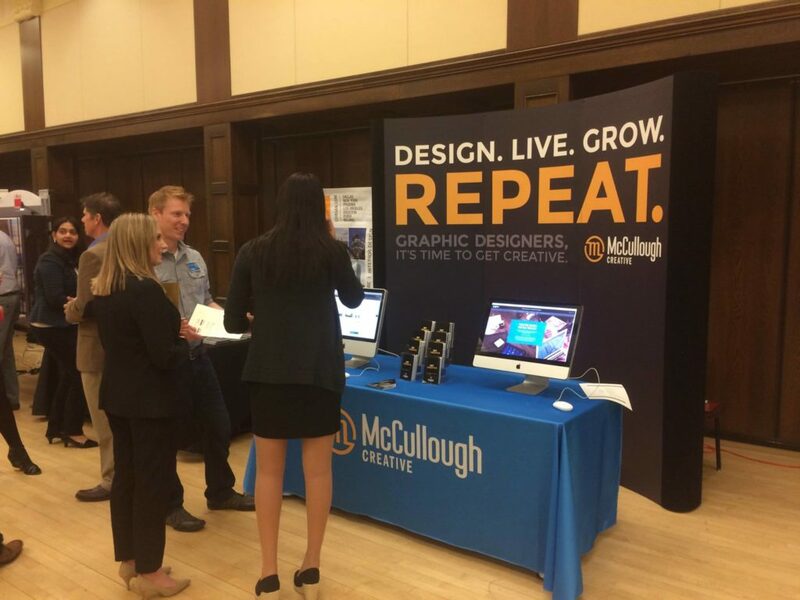 Creating compelling collateral and booths for job fairs is the right approach for some companies, whereas others may find their message is better communicated by identifying and training brand ambassadors. The options are almost endless here—what’s most important is determining the optimal outlets for your specific goals, and being consistent and persistent in your efforts. Next up, we’ll discuss the importance of aligning your corporate and employer brand. In the meantime, you can sign up for our newsletter below to receive quarterly insights on everything marketing and branding.